Yesteryear’s full brothers include $20,000 Herefords Australia National Show & Sale (Wodonga) Grand Champion 2011, Mawarra Westlife and $15,000 Mawarra Winning Star. The nine Magnum/Miss Titania 123 brothers sold have averaged $13,600. The performance of this genetic package is proven and Yesteryear’s progeny are everything we have come to expect from this line. Testament to this was his son, Dark Horse, who sold for the top price at our 2016 sale $22,000 . 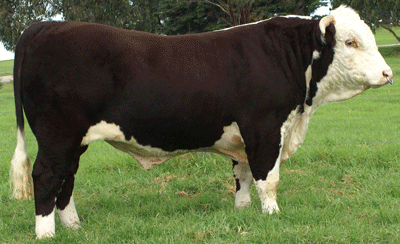 He was purchased by Ohio Herefords, Holbrook. We sold a daughter at the same sale to Jason Swayne, Weerite, for $4,500.